The scientists used a new technology called a muon scan to locate the void. ScanPyramids MissionAn aerial view of the Great Pyramid of Giza that illustrates the chambers within as well as the newly-detected chamber. Scientists used a new technology known as cosmic-ray imaging to perform a muon scan in order to discover the space. 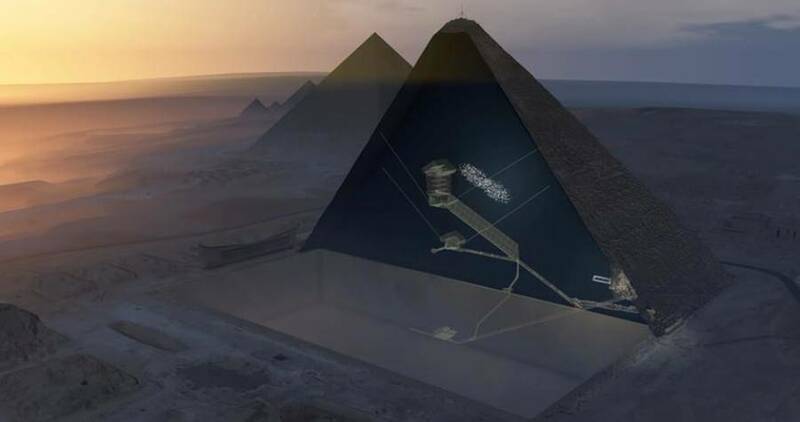 The process involves placing special plates in and around the pyramids that collect subatomic particles. The particles rain down through the atmosphere and are then absorbed or deflected by hard surfaces. The particles, known as muons, penetrate rock similarly to an X-ray, but they can go much deeper. The researchers who collect the plates can then study the trajectories of the particles, and determine where there is stone and where there is empty space. The plates led the scientists to triangulate the chamber and determine its relative location, shape, and size. So far, it does not look like the area is connected to any other known internal passages, leading researchers to believe there could be more yet-undiscovered passageways or antechambers. Though the pyramids have been around for 4,500 years, researchers are still uncovering new information about them. Last year, thermal scans revealed stones at the base of the pyramids that registered higher temperatures than the surrounding ones, causing much debate within the archaeological community. There is also continued speculation that King Tutankhamen’s tomb holds additional antechambers that have not yet been discovered. 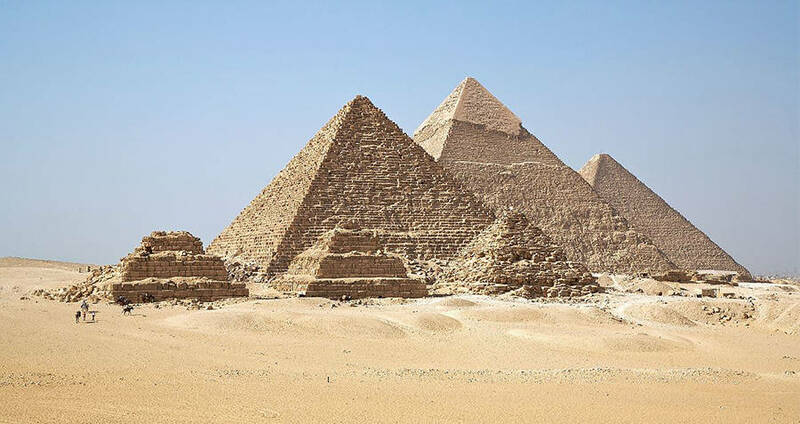 Next, read about the discovery that helped scientists figure out how the pyramids were built. Then, read about the search for hidden chambers inside King Tut’s tomb.